In concluding remarks, senior advocate Kapil Sibal for AIMPLB compared Muslim community to “ small birds on which the Golden Eagle preys” and said the “community's nests must have the protection of the Supreme Court”. Sibal said “it is that faith with which the community is today before the court seeking protection of its personal law customs and practices”. Sibal said “Muslim community has faith in Supreme Court for last 67 years is fundamental and it is this faith that makes the country vibrant”. 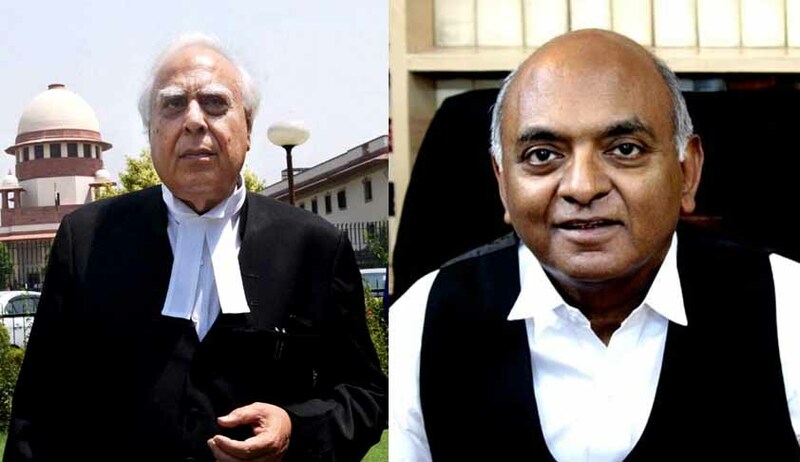 When the 5th day’s hearing of batch of petitions challenging constitutional validity of triple talaq commenced, senior lawyer Kapil Sibal, appearing for All India Muslim Personal Board submitted that the way the whole issue came up before the bench was wrong and the whole exercise will only have a “reviving impact on a dying practice”. Then Justice Rohinton Nariman asked “I think somebody had come to court”. Sibal then said: “Only later, after the court took suo motu cognizance”. Sibal said “triple talaq is practiced by a minuscule portion of Muslim community and is dying down. But if a secular court like SC entertain its scrutiny suo motu and Centre pitches in for its ban, Muslim community might take a rigid stand”. “Muslim community is gradually giving up triple talaq and polygamy, may clam up fearing an onslaught from government and judiciary”, he said. In concluding remarks, Sibal compared Muslim community as small birds on which the Golden Eagle preys and said the community's nests must have the protection of the Supreme Court. Sibal said it is that faith with which the community is today before the court seeking protection of its personal law customs and practices. Sibal said Muslim community has faith in Supreme Court for last 67 years is fundamental and it is this faith that makes the country vibrant. Arguing for Jamat-ulema-i-Hind, senior advocate Raju Ramachandran said every party has the right in law to opt out of personal law. “It is submitted that after the enactment of the Special Marriage Act, 1954 all citizens of India whether male or female and irrespective of their faith have the option of being governed by the provisions of the said Act instead of by their personal law. When a person agrees to get married under his/her personal law, he or she is also making a conscious waiver of the right to be governed by the "secular non-religious" law or by a purely civil law. The consent of either party to a marriage is not just to marry a particular person 'but to the particular law which will apply to the marriage i.e. whether it is personal law or enacted civil law. In such a situation a person who consciously opts for the personal law cannot complain that tho personal law is unfavourable or discriminatory”. “It is significant that while referring to Triple Talaq being abolished in other countries, both the Petitioners and Union of India are relying on legislations passed in those countries. It is respectfully submitted that the constitutional validity of personal law in our country cannot be tested on the oasis of enacted legislation of other countries (this submission is made without prejudice to the contention of the answering Respondent that the constitutional validity of personal law cannot be tested at all with reference to Part III of the Constitution since personal law is not "law" within the meaning of Article 13”, he said. Masroor Ahmed v. State 2008. In para 26, the High court says "it is accepted by all schools of law that talaq-e-biddat is sinful, yet some schools regard it as valid" and that the courts in India have also held it to be valid”, he said. Responding to arguments of AIMPLB and all others who supported triple talaq, Attorney General Mukul Rohatgi for Centre in his rebuttal said the issue the way it being portrayed is not of majority vs minority but of men vs women. Read the Argument Notes of Senior Advocate Raju Ramachandran here.